The toys that made the people who make the games. When Jeffrey Dillow's High Fantasy was originally published in 1978, it didn't capture much attention. Neither did the two subsequent printings in 1979. It didn't really appear on anyone's radar until 1981 when Reston published an expanded hard cover second edition. Third printing of the original 44 page saddle stitched edition. This is the edition I first owned in 1980.
percentile dice system, with a hit and dodge combat mechanic for characters and creatures--it was a time when players were still swooning over the new D&D sensation and thus weren't ready to explore alternate rules systems. 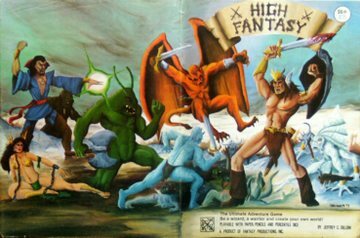 High Fantasy also had different classes like Animal Trainer and Alchemist, who could create gun powder and use firearms, but despite this there was no way to 'compete' with D&D in the early 80's. 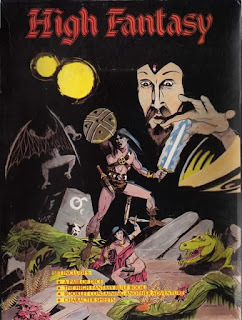 Even the strongest alternative games at the time, Runequest, Tunnels and Trolls, and Traveller, were obscure titles to most of Dungeon and Dragon's fad audience. Despite this, the HF still had strong distribution through bookstores as well as hobby shops once the Reston edition came out. Numerous supplements followed in '81 through '83. Extremely rare High Fantasy boxed set. interested in learning another system. The copy I owned was sold in 1986 when I ditched 90% of my game collection all for $100. All for a slew of records that seemed important to own at the time...How I lament that day. When I got back into games I often thought of that book. 6 years ago I couldn't find much about it online which made it grow in magnitude as a lost gem that I needed to replace. I tore apart boxes of my old collections at my parent's house hoping it wasn't part of my RPG sale. I kept checking Ebay for copies, kept searching online, and slowly I found info...then a little more...and a little more. 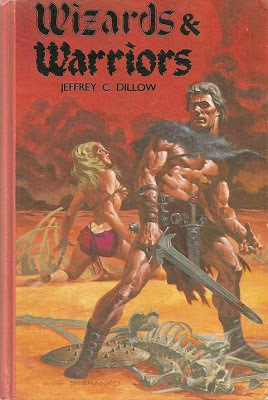 Over a couple of years I discovered the other editions and supplements, plus copies for sale that I couldn't afford, and a little biographical info from Jeffrey on a forum. The history of the game seemed to be slowly bubbling up from the murky depths of obscurity. I finally found Jeff's website in 2012(?) and discovered he was publishing novels based on his game world. You really should check the site out, Jeff has lived a very busy and incredibly interesting life. 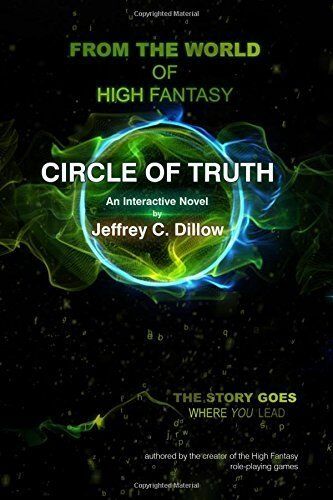 "I will sum it up like this; Faster than Dungeons & Dragons and more in-depth than Tunnels & Trolls. Don't let anyone tell you it's a "knock off" of D&D!" 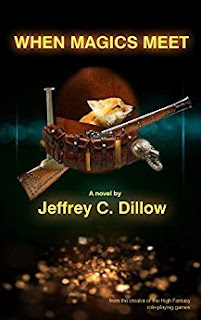 I finally made contact with Jeffrey Dillow earlier this year (it's not easy), and I was so over the top excited that he was willing to participate in Appendix N Happy Meal. 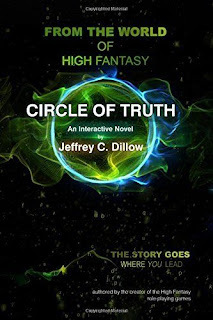 I'm especially excited to present Mr. Dillow's interview as the first of our new season. Enjoy! What were your favorite toys during childhood? What is it about these toys that you most identified with? What made them so special? How did you play/enjoy this toy? (shared or solo play). Jeffrey: My early years were filled with a mixture of store bought and homemade treasures. One of my most favorite store bought toy was a pair of Johnny Seven guns. This was a plastic gun that was actually seven guns in one. It was a pistol, machine gun, rocket launcher, anti-tank extravaganza piece of equipment that fired bullets and grenades and anything you could imagine. I took both my gun and my brother’s gun to my neighbor’s house. There, CJ (my friend) and I strapped them on the side of two wooden crates. This was the beginning of a two-seater spaceship that would rival any other ship in the galaxy. CJ’s father often visited the Army Surplus stores looking for Lionel trains. We went with him one time and brought home bags full of 12 volt lights and WWII switches and we used these to create our cockpit and control panels. We are talking toggle switches, buttons, and large lever switches like Frankenstein used. We grabbed a spare Lionel transformer and hooked it up to supply the power. It was magnificent (in our minds). From CJ’s basement we ventured across the galaxy using National Geographic maps of space to chart our course to different planets. We fought and flew our way through many solar systems to get to our destination. Then we would land, jump out of the crates (I mean spaceship), unhook our Johnny Sevens and fight the aliens. Whenever our ship got damaged we would fly back to our base where we could make repairs and restock for our next adventure. If we ever encountered civilizations that were too advanced for our ship, we simply dug into our bags of spare parts and invented a new feature for the ship that would even the odds and help us win the day. I am very proud to say that we were never defeated in all of these adventures. And I might humbly add, the world as we know it, owes us a debt of gratitude for saving it so many times. Other great toys included a James Bond attaché case, Strombecker slot cars, and a NASA rocket launcher. These were great toys, but none of these were my favorite. My father used to pack all four of the kids in the back seat of his car, attach a trailer, and travel around the country. This was torture for me. Sitting in a car for hours to see something I was not interested in was not great fun. After all, I had galaxies and foreign lands that needed my help back home. Along the way, we would make stops at what we called “Junk Stores”. These were the little road-side stores at gas stations that sold souvenirs. There I discovered that you could buy, for 25 or 50 cents, bags of Roman, Trojan, or Barbaric plastic soldiers. These were fantastic, with chariots drawn by up to four horses, bags full of siege towers, catapults, and cavalry horses. Forget little green army men, this was Hercules, Caesar, and my most favorite ancient of all, Hannibal. From there on I was hooked. I begged for quarters mercilessly at each stop until I had multiple armies at my command that followed me across the country. These armies are still here with me today. What were your favorite films or TV shows during childhood and what age were you when you enjoyed each favorite? What did you identify with about these shows? Do you think these shows had an influence on the adult you? Jeffrey: I remember being very sick once where I had to be separated from the rest of the family. It was only for a week, but I had a very high fever. When I started to get better and I could sit up, my mother wheeled in a TV. Since none of my siblings could come in the room to bother me, I could watch whatever I wanted. I found the movie “Forbidden Planet”. I knew after watching it, I was back and ready to save the world once more. It was a great moment of clarity. Then I got to eat a big bowl of Chef Boyardee spaghetti (the kind that came in a box not that squishy canned stuff) and watched the Smothers Brothers. They were particularly funny that night. I am not sure if these shows had a great effect on me or if I was already fully formed by then. I was opinionated and gravitating to the shows I liked and avoiding most of the things I did not like. I hated Gilligan's Island and I was tired of all of the Westerns. There was a time when all three major networks would broadcast competing Westerns at prime time. Think about playtime, did you create games or imaginary worlds as a child? If so, please describe an important original game or play world you enjoyed. Jeffrey: I think you can tell from question one that we created lots of games. We had two tree houses and a real miniature train you could sit in that ran around the back of CJ’s house. They never let us hook up a gas powered motor to the train Engine, but we did have a railroad handcar that you get on and ride. Our games extended to the outdoors where we built real catapults. We could shoot a metal Hawaiian Juice can filled with water for half an acre. Here we used timber and bicycle tubes (not tires) to run our experiments. Advanced models could swivel and elevate for better aim. CJ’s dad also had one of the most extensive collections of Lionel trains you could imagine. A permanent track was set up in the basement that covered more than three ping pong size tables with a train engineer’s control station cut out of the middle. There you could stand surrounded by transformers, switches, and controls for the train crossings and loading stations. We had many types of trains and cars to choose from and we reenacted the Great Locomotive Chase more than once. We played with these trains, but it was too formal and ridged to keep our attention for long. As a child how did you feel about how you fit in with the rest of the world or community or friends? Like, were you very social or did you prefer spending time alone? Your environment, was it rural or urban? Were siblings a big part of your playtime? Did adults interact with you in game play, and if so was it structured play (sports, scouting, clubs, etc.) or free form? Jeffrey: I grew up three doors outside of Indianapolis, but I was surrounded by farms. This is a difficult question because you have to answer it as a child. I would say I fit in well as a standard reply. I had friends. I was confident and outgoing. It was a fun childhood! However, I always felt a little different. I was not concerned with most of the normal things. I remember trying to build a calculator with my bag of light bulbs and wires. I drilled holes with a hand drill in a plywood board and wedged row after row of lights in them. I was not allowed to use a soldering gun because I was too young, so I punched holes with a nail in aluminum strips and Scotch Taped the wires and lights together. I connected the columns with one set of switches and the rows with another. I tried different cross-wiring configurations to see if I could get a row and a column to add together and light up in multiples. I powered it with one of our trusty Lionel transformers. I got very frustrated because I could not keep the wires connected long enough to test out my theories. I got so mad I turned the transformer on high and blew up row after row of lights. It was a spectacular end to a project, but maddening nonetheless. I had no problem playing alone with my armies and I had no problem inviting others to join in. I played basketball, baseball, and football. However, I can say with certainty that my younger years were influenced more by free form play. I had great male role models around, like an electrical engineer on one side and a mechanic on the other. The other neighbor built real igloos out of snow. I mean the kind made from blocks that somehow can be stacked into an Eskimo hut. He also let us borrow every kind of tool we needed. Well, let’s just say he left his garage door unlocked. My time up until eleven was mostly unsupervised. Grown-ups were watching but not organizing. They often stopped us when we went too far. Gas powered things seemed to be off limits. We wanted to mount a lawn mower engine onto a go-cart frame; I already mentioned we could not finish the engine for the backyard train. They also stopped us from using pulleys to build elevators for the tree houses. I think that was because they did not want their expensive pulleys sitting outdoors all summer long. Still, no one seemed to mind when we jumped out of trees with an army surplus cargo parachute. No matter how high we climbed, it never opened. Do you have any thoughts about any aspects of your childhood playtime that might have influenced your passion for RPGs? Have you ever intentionally incorporated memories of childhood playtime into game work you have created as an adult? Jeffrey: I don’t think I need to go into much detail here. 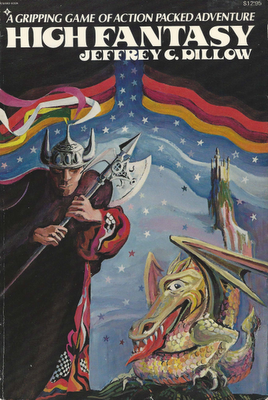 Once I read Tolkien I knew I could blend all my interests into one exciting adventure. You are the last survivor of your crew. You are adrift aboard an intergalactic cruiser. You no longer remember your mission or destination. Your ship sent out a distress signal, but you lost contact with your home planet months ago. Your chances of being rescued are nil. The ship is well stocked with everything necessary for your physical survival. You have no fear of starvation and there are no security threats. On board with you are two AI bots programmed for average human intelligence. You were allowed 10 items of any type of entertainment of your choosing (movies, recordings, books, videos, games, comics). The ship is capable of playing everything you brought, regardless of format. What choices do you hope you packed away so that you avoid dying of boredom? Jeffrey: I cannot answer this one the way you would expect. I understand that you would like me to list ten of my most favorite things. However, it is the last part of the question that bothers me… “to keep from dying of boredom.” Having already flown through space in my early years, I already know the answer. Without the ability to guide the craft and to engage others in exciting new explorations I would never make it off the launching pad with my sanity intact.